ГБУЗ МО «МОНИКИ им. М. Ф. Владимирского». Гребенчиков Олег Александрович - кандидат медицинских наук, старший научный сотрудник отделения реаниматологии. Скрипкин Юрий Вольдемарович - кандидат медицинских наук, заведующий отделением реанимации и интенсивной терапии № 1. Улиткина Ольга Николаевна - научный сотрудник отделения реаниматологии. Бершадский Федор Федорович - научный сотрудник отделения реаниматологии. Строителева Елена Михайловна - врач анестезиолог-реаниматолог. 1. Резепов Н. А., Улиткина О. Н., Скрипкин Ю. В. и др. Ингаляционная седация у пациентов с сепсис-ассоциированным делирием // Вестн. анестезиол. и реаниматол. – 2017. – № 2. – С. 48–54. 2. Шайбакова В. Л., Левиков Д. И., Борисов К. Ю. и др. Послеоперационный делирий и маркер повреждения ЦНС как показатели эффективности анестетической защиты мозга при церебральной десатурации: сравнение тотальной внутривенной анестезии и ингаляционной индукции и поддержания анестезии // Вестн. анестезиол. и реаниматол. – 2013. – № 2. – С. 9–15. 4. Annecke T., Chappell D., Chen C. et al. Sevoflurane preserves the endothelial glycocalyx against ischaemia-reperfusion injury // Br. J. Anaesth. – 2010. – Vol. 104, № 4. – P. 414–421. 5. Barr J., Fraser G. L., Puntillo K. et al. American College of Critical Care Medicine: Clinical practice guidelines for the management of pain, agitation, and delirium in adult patients in the intensive care unit // Crit. Care Med. – 2013. – Vol. 41, № 1. – P. 263‒306. 6. Bellgardt M., Bomberg H., Herzog-Niescery J. et al. Survival after long-term isoflurane sedation as opposed to intravenous sedation in critically ill surgical patients: Retrospective analysis // Eur. J. Anaesthesiol. – 2016. – Vol. 33, № 1. – P. 6‒13. 7. Bierman M. I., Brown M., Muren O. et al. Prolonged isoflurane anesthesia in status asthmaticus // Crit. Care Med. – 1986. – Vol. 14, № 9. – Р. 832‒833. 8. Bomberg H., Glas M., Groesdonk V. H. et al. A novel device for target controlled administration and reflection of desflurane ‒ the Mirus™ // Anaesthesia. – 2014. – Vol. 69, № 11. – P. 1241‒1250. 9. Breheny F. X., Kendall P. A. Use of isoflurane for sedation in intensive care // Crit. Care Med. – 1992. – Vol. 20, № 7. – P. 1062‒1064. 10. Campagna J. A., Miller K. W., Forman S. A. Mechanisms of actions of inhaled anesthetics // N. Engl. J. Med. – 2003. – Vol. 22, № 21. – P. 2110‒2124. 11. Cason B. A., Gamperl A. K., Slocum R. E. et al. Anesthetic-induced preconditioning: previous administration of isoflurane decreases myocardial infarct size in rabbits // Anesthesiology. – 1997. – Vol. 87, № 5. – P. 1182‒1190. 12. 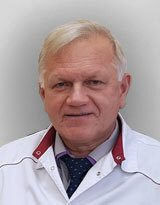 Chau E. H., Slinger P. Perioperative fluid management for pulmonary resection surgery and esophagectomy // Semin. Cardiothorac. Vasc. Anesth. – 2014. – Vol. 18, № 1. – P. 36‒44. 13. Cope D. K., Impastato W. K., Cohen M. V. et al. Volatile anesthetics protect the ischemic rabbit myocardium from infarction // Anesthesiology. – 1997. – Vol. 86, № 3. – P. 699‒709. 14. de Conno E., Steurer M. P., Wittlinger M. et al. Anesthetic-induced improvement of the inflammatory response to one-lung ventilation // Anesthesiology. – 2009. – Vol. 110, № 6. – Р. 1316‒1326. 15. de Hert S., Vlasselaers D., Barbé R. et al. A comparison of volatile and non volatile agents for cardioprotection during on-pump coronary surgery // Anaesthesia. – 2009. – Vol. 64, № 9. – Р. 953‒960. 16. de Hert S. Cardiac troponins and volatile anaesthetics in on-pump coronary surgery: How much longer do we need to state the obvious? // Eur. J. Anaesthesiol. – 2016. – Vol. 33, № 6. – P. 393‒395. 17. de Hert S. G., Cromheecke S., ten Broecke P. W. et al. Effects of propofol, desflurane, and sevoflurane on recovery of myocardial function after coronary surgery in elderly high-risk patients // Anesthesiology. – 2003. – Vol. 99, № 2. – Р. 314‒323. 18. Enlund M., Wiklund L., Lambert H. A new device to reduce the consumption of a halogenated anaesthetic agent // Anaesthesia. – 2001. – Vol. 56, № 5. – Р. 429‒432. 19. Fahlenkamp A. V., Coburn M., Rossaint R. et al. Comparison of the effects of xenon and sevoflurane anaesthesia on leucocyte function in surgical patients: a randomized trial // Br. J. Anaesth. – 2014. – Vol. 112, № 2. – P. 272‒280. 20. Farhan H., Grabitz S. D., Ruscic K. J. et al. Proper selection of sedative drugs improves outcomes: volatile anesthetics are surgeons' best friends // Ann. Transl. Med. – 2017. – Vol. 5, № 5. – Р. 122. 21. Félétou M., Vanhoutte P. M. Endothelial dysfunction: a multifaceted disorder (The Wiggers Award Lecture) // Am. J. Physiol. Heart. Circ. Physiol. – 2006. – Vol. 291, № 3. – P. 985‒1002. 22. Guerrero O. J. L., Galán O. M., Ramirez A. M. et al. Prolonged sevoflurane administration in the off-pump coronary artery bypass graft surgery: beneficial effects // J. Crit. Care. – 2013. – Vol. 28, № 5. – Р. 13‒18. 23. Hellström J., Öwall A., Martling C. R. et al. Inhaled isoflurane sedation during therapeutic hypothermia after cardiac arrest: a case series // Crit. Care Med. – 2014. – Vol. 42, № 2. – P. 161‒166. 24. Januzzi J. L., van Kimmenade R., Lainchbury J. et al. NT-proBNP testing for diagnosis and short-term prognosis in acute destabilized heart failure: an international pooled analysis of 1256 patients: the International Collaborative of NT-proBNP Study // Eur. Heart. J. – 2006. – Vol. 27, № 3. – Р. 330‒337. 25. Jerath A., Beattie S. W., Chandy T. et al. Perioperative Anesthesia Clinical Trials Group. Volatile-based short-term sedation in cardiac surgical patients: a prospective randomized controlled trial // Crit. Care Med. – 2015. – Vol. 43, № 5. – Р. 1062‒1069. 26. Jerath A., Ferguson N. D., Steel A. et al. The use of volatile anesthetic agents for long-term critical care sedation (VALTS): study protocol for a pilot randomized controlled trial // Trials. – 2015. – Vol. 9, № 16. – P. 560. 27. Jerath A., Parotto M., Wasowicz M. еt al. Volatile anesthetics. Is a new player emerging in critical care sedation? // Am. J. Respir. Crit. Care Med. – 2016. – Vol. 193, № 11. – P. 1202‒1212. 28. Juhaszova M., Zorov D. B., Yaniv Y. et al. Role of glycogen synthase kinase-3beta in cardioprotection // Circ. Res. – 2009. – Vol. 104, № 11. – P. 1240‒1252. 29. Kadoi Y., Goto F. Sevoflurane anesthesia did not affect postoperative cognitive dysfunction in patients undergoing coronary artery bypass graft surgery // J. Anesth. – 2007. – Vol. 21, № 3. – P. 330‒335. 30. Kawamura T., Kadosaki M., Nara N. et al. Effects of sevoflurane on cytokine balance in patients undergoing coronary artery bypass graft surgery // J. Cardiothorac. Vasc. Anesth. – 2006. – Vol. 20, № 4. – P. 503‒508. 31. Kersten J. R., Schmeling T. J., Pagel P. S. et al. Isoflurane mimics ischemic preconditioning via activation of K(ATP) channels: reduction of myocardial infarct size with an acute memory phase // Anesthesiology. – 1997. – Vol. 87, № 2. – P. 361‒370. 32. Kim H. Y., Lee J. E., Kim H. Y. et al. Volatile sedation in the intensive care unit: A systematic review and meta-analysis // Medicine (Baltimore). – 2017. – Vol. 96, № 49. – P. 8976. 33. Kofke W. A., Young R. S., Davis P. et al. Isoflurane for refractory status epilepticus: a clinical series // Anesthesiology. – 1989. – Vol. 71, № 5. – P. 653‒659. 34. Kong K. L., Willatts S. M., Prys-Roberts C. Isoflurane compared with midazolam for sedation in the intensive care unit // BMJ. ‒ 1989. – Vol. 298, № 6683. – P. 1277‒1280. 35. Landoni G., Biondi-Zoccai G. G., Zangrillo A. et al. Desflurane and sevoflurane in cardiac surgery: a meta-analysis of randomized clinical trials // J. Cardiothorac. Vasc. Anesth. – 2007. – Vol. 21, № 4. – P. 502‒511. 36. Landoni G., Greco T., Biondi-Zoccai G. et al. Anaesthetic drugs and survival. A Bayesian network meta-analysis of randomized trials in cardiac surgery // Br. J. Anaesth. – 2013. – Vol. 111, № 6. – P. 886‒896. 37. Landoni G., Pasin L., Cabrini L. et al. Volatile agents in medical and surgical intensive care units: a meta-analysis of randomized clinical trials // J. Cardiothorac. Vasc. Anesth. – 2016. – Vol. 30, № 4. – P. 1005‒1014. 38. Likhvantsev V. V., Landoni G., Levikov D. I. et al. Sevoflurane versus total intravenous anesthesia for isolated coronary artery bypass surgery with cardiopulmonary bypass: a randomized trial // J. Cardiothorac. Vasc. Anesth. – 2016. – Vol. 30, № 5. – P. 1221‒1227. 39. Lotz C., Kehl F. Volatile anesthetic-induced cardiac protection: molecular mechanisms, clinical aspects, and interactions with nonvolatile agents // J. Cardiothorac. Vasc. Anesth. – 2015. – Vol. 29, № 3. – P. 749‒760. 40. Lurati Buse G. A., Schumacher P., Seeberger E. et al. Randomized comparison of sevoflurane versus propofol to reduce perioperative myocardial ischemia in patients undergoing noncardiac surgery // Circulation. – 2012. – Vol. 126, № 23. – P. 2696‒2704. 41. Marcos-Vidal J. M., González R., Garcia C. et al. Sedation with sevoflurane in postoperative cardiac surgery: influence on troponin T and creatinine values // Heart. Lung Vessel. – 2014. – Vol. 6, № 1. – P. 33‒42. 42. Meiser A., Laubenthal H. Inhalational anaesthetics in the ICU: theory and practice of inhalational sedation in the ICU, economics, risk-benefit // Best. Pract. Res. Clin. Anaesthesiol. – 2005. – Vol. 19, № 3. – P. 523‒538. 43. Mesnil M., Capdevila X., Bringuier S. et al. Long-term sedation in intensive care unit: a randomized comparison between inhaled sevoflurane and intravenous propofol or midazolam // Intens. Care Med. – 2011. – Vol. 37, № 6. – P. 933‒941. 44. Minguet G., Joris J., Lamy M. Preconditioning and protection against ischaemia-reperfusion in non-cardiac organs: a place for volatile anaesthetics? // Eur. J. Anaesthesiol. – 2007. – Vol. 24, № 9. – P. 733‒745. 45. Mu J., Xie K., Hou L. et al. Subanesthetic dose of isoflurane protects against zymosan-induced generalized inflammation and its associated acute lung injury in mice // Shock. – 2010. – Vol. 34, № 2. – P. 183‒189. 46. Murrаy C. E., Jennings R. B., Reimer K. A. Preconditioning with ischemia: a delay of lethal cell injury in ischemic myocardium // Circulation. – 1986. – Vol. 4, № 5. – P. 1124‒1136. 47. Orosz J. E., Braz M. G., Golim M. A. et al. Cytokine profile in patients undergoing minimally invasive surgery with balanced anesthesia // Inflammation. – 2012. – Vol. 35, № 6. – P. 1807‒1813. 48. Preckel B., Bolten J. Pharmacology of modern volatile anaesthetics // Best. Pract. Res. Clin. Anaesthesiol. – 2005. – Vol. 19, № 3. – P. 331‒348. 49. Reutershan J., Chang D., Hayes J. K. et al. Protective effects of isoflurane pretreatment in endotoxin-induced lung injury // Anesthesiology. – 2006. – Vol. 4, № 3. – Р. 511‒517. 50. Röhm K. D., Mengistu A., Boldt J. et al. Renal integrity in sevoflurane sedation in the intensive care unit with the anesthetic-conserving device: a comparison with intravenous propofol sedation // Anesth. Analg. – 2009. – Vol. 108, № 6. – P. 1848‒1854. 51. Röhm K. D., Wolf M. W., Schöllhorn T. et al. Short-term sevoflurane sedation using the Anaesthetic Conserving Device after cardiothoracic surgery // Intens. Care Med. – 2008. – Vol. 34, № 9. – P. 1683‒1689. 52. Sackey P. V., Martling C. R., Granath F. et al. Prolonged isoflurane sedation of intensive care unit patients with the Anesthetic Conserving Device // Crit. Care Med. – 2004. – Vol. 32, № 11. – P. 2241‒2246. 53. Schilling T., Kozian A., Senturk M. et al. Effects of volatile and intravenous anesthesia on the alveolar and systemic inflammatory response in thoracic surgical patients // Anesthesiology. – 2011. – Vol. 115, № 1. – P. 65‒74. 54. Schoen J., Husemann L., Tiemeyer C. et al. Cognitive function after sevoflurane- vs propofol-based anaesthesia for on-pump cardiac surgery: a randomized controlled trial // Br. J. Anaesth. – 2011. – Vol. 106, № 6. – P. 840-850. 55. Soukup J., Schärff K., Kubosch K. et al. State of the art: sedation concepts with volatile anesthetics in critically ill patients // J. Crit. Care. – 2009. – Vol. 24, № 4. – Р. 535‒544. 56. Spence J., Belley-Côté E., Ma H. K. et al. Efficacy and safety of inhaled anaesthetic for postoperative sedation during mechanical ventilation in adult cardiac surgery patients: a systematic review and meta-analysis // Br. J. Anaesth. – 2017. – Vol. 118, № 5. – P. 658‒669. 57. Zhang L., Huang H., Cheng J. et al. Pre-treatment with isoflurane ameliorates renal ischemic-reperfusion injury in mice // Life Sci. – 2011. – Vol. 20, № 88. – P. 1102‒1107.